BEIRUT (AP) — A senior US official warned Lebanon’s Hezbollah not to exploit its newly gained clout in the new Lebanese cabinet and channel funds from a ministry it controls to institutions affiliated with the Shiite militant group. The remarks by Marshall Billingslea, the US Treasury’s assistant secretary on terror financing, came as Lebanese political factions agreed late Thursday to form a new government, breaking a nine-month deadlock that had deepened Lebanon’s economic woes. The warning underscores the delicate balance that Prime Minister Saad Hariri must strike in a national unity government in which the Iran-backed group has three seats, including the health ministry, which has one of the country’s largest budgets. Hariri, who hails from the country’s leading Sunni political party, reportedly had cautioned against Hezbollah holding the health ministry amid concerns his new government could face Western sanctions. Hezbollah made significant gains at the expense of Hariri’s party in Parliament elections in May, further contributing to the delay in forming a government as the powerful group lobbied for a bigger share in the cabinet. Billingslea spoke to local journalists at the US Embassy in Beirut at the end of a two-day visit during which he met with Lebanon’s president, prime minister, central bank governor and other officials. “If we see that Hezbollah exploits, and they will exploit whatever ministry they are given, to funnel money and other terrorist agendas, then we have significant problems with that,” Billingslea was quoted as saying by the English-language Daily Star newspaper on Friday. He declined to elaborate what the US Treasury would do in that case. The United States has labelled Hezbollah a terrorist organization. The new health minister, Jamil Jabbak, is not a member of Hezbollah but is believed to be close to the group’s leader, Hassan Nasrallah, and was his personal physician at one point. The group has been affected recently by the US sanctions as well as those imposed on its main baker Iran. Hariri and Hezbollah are political rivals. Hezbollah threw its weight behind Syrian President Bashar Assad’s forces in the civil war that broke out in the neighboring country in 2011, sending its militiamen to fight alongside Syrian government troops, while Hariri and his political allies have criticized the group’s intervention, supporting at times the opposition fighting against Assad. The new cabinet was agreed on as Lebanon is dealing with soaring public debt of $84 billion, or 150 percent of the gross domestic product, and unemployment believed to be around 36%. Lebanon’s infrastructure is also reeling under the weight of a growing number of Syrian refugees: more than 1 million in a country of just over 4 million. The government is expected to enact reforms that would allow it to unlock around $11 billion in soft loans and grants pledged by international donors at a conference in Paris last year. Elisa Parisi-Capone, vice president and senior analyst at Moody’s Investors Service, said it expects the new government to implement measures to receive the investment package committed to by international donors last year. “However, in the context of very weak growth, fiscal consolidation will remain very challenging for the government,” it said. Retired General David Petraeus, left, gestures while talking with President Barack Obama meets and the national security team on Afghanistan and Pakistan, during a meeting in the Situation Room of the White House, May 6, 2010. Credit: Official White House Photo by Pete Souza. (January 31, 2019 / JNS) With Hezbollah pointing thousands of missiles at Israel and digging tunnels under the border, and with Iran threatening every day to annihilate the Jewish state while Hamas maintains the capability to attack Israel again with rockets and mortars, one would hope that there are experts worth their salt losing sleep over these threats so that civilians can sleep soundly. The Institute for National Security Studies (INSS) conference in Tel Aviv proved that brilliant minds are indeed at work. David Petraeus, retired U.S. Army General and former CIA director who has been known to say, “Deterrence is founded on an adversary’s perception of your capabilities and your will,” agreed that Israel has both the capabilities and the will to defend itself. “I think the deterrent posture is very strong. … The advances with Israel’s capabilities to respond—whether it is by some means of indirect fire, missiles, rockets, artillery or certainly with the Israeli air force, which is now flying the most sophisticated aircraft in the world, the F-35”—all add to this posture, he said. Former Israeli Air Force general, Israel Defense Forces military attaché to Washington and head of the IDF Military Intelligence Directorate Amos Yadlin (right) seen with former director of the CIA David Petraeus at the eighth international INSS conference at the Eretz Israel Museum in Tel Aviv on Feb. 16, 2015. Photo by Tomer Neuberg/Flash90. Yadlin warned that it is always possible that the two sides may miss what that the threshold actually is. “The bottom line,” he said, is to have “very strong deterrence,” but remain aware that the stakes are fragile, the dangers are real, and that any side is liable to make a mistake. Yadlin said Israel should and must deal with the real threats, as “the capability is there,” he warned, for a real conflagration. The question is: Do Israel’s enemies have the need, will and wish to challenge it? Kurds rely on support from U.S. troops to eliminate ISIS; Benjamin Hall reports from Bahguz, Syria. The 68-23 vote by the Senate Thursday for an amendment opposing the withdrawal American troops from Syria and Afghanistan demonstrates the Republican-controlled chamber doesn’t support President Trump’s desire to pull U.S. troops out of both nations at this time. The amendment is to a bill that has yet to be voted on in the Senate. Defense Secretary James Mattis soon resigned soon afterward. And President Trump’s top intelligence officials testified before Congress this week that ISIS – despite suffering big losses in territory and fighters – has not been defeated and remains a threat. Senate Majority Leader Mitch McConnell, R-Ky., normally a staunch ally of the president, said Thursday that “ISIS and Al Qaeda have yet to be defeated” in Syria and Afghanistan. However well-deserved the consternation over President Trump’s decision to withdraw U.S. troops from Syria, the subsequent debate has been overly focused on means, not ends. Whether or not there are U.S. troops in Syria is less important than the question of what should be U.S. objectives in Syria and how to achieve those objectives. The United States should join Israel in striking Iranian targets, or at least back Israel’s freedom of action in Syria against Russian resistance. The Trump administration has recently made clear its commitment to – as Secretary of State Mike Pompeo recently put it in Cairo – “the complete dismantling of ISIS” and to “expel every last Iranian boot” from Syria. President Trump deserves much credit for the actions he has taken against Iran – withdrawing from the deeply flawed nuclear agreement with the Islamic Republic and imposing economic sanctions. But he can claim neither all the credit nor success. Iranian domestic turmoil began before Trump imposed sanctions. And – despite President Trump’s recent statements to the contrary – economic and domestic pressure is not forcing Iran to retrench. Instead, Tehran continues to entrench itself in Syria. The regime of Syrian President Bashar Assad – backed by Iran and Russia – continues to expand its control, and test-fired a nuclear-capable ballistic missile in December. What is needed – and what a U.S. military presence is no substitute for – is a strategy that defeats ISIS, blocks Turkish expansion into Syria, and rolls back Iran. The right combination of an aggressive posture, airpower, and support for allies could still allow the United States to achieve these objectives, even without troops in Syria. Certainly, the 2,000-plus U.S. troops in Syria based in key strategic locations – including in al-Tanf, the Syrian northeast and the nation’s oil regions – have been critical. They have helped deliver a crippling blow to ISIS, blocked Turkish expansion and a conflict with Syrian Kurds, served as leverage with Russia, and impeded Iranian expansion. American troops can’t stay indefinitely, but their continued deployment in Syria until ISIS is defeated and Syria’s political makeup is resolved is vital. Even without U.S. troops, however, the campaign against ISIS can continue to be waged with Syrian Kurdish forces on the ground and U.S. airpower. Making sure that those local forces remain committed to fighting ISIS – and are neither co-opted by Iran nor massacred by Turkey – will require the U.S. to provide the Kurds with security guarantees, aerial support and protection, and assistance with rebuilding in both Syria and Iraq. This will also serve to check Turkish expansion. When it comes to rolling back Iran, what is most critically needed is for the United States to get over its fear of Iran. U.S. forces in Syria have not actively blocked Iranian activity there. The United States has apparently avoided this mission, partly out of fear of reprisal against U.S. forces in Iraq from Iranian-backed Shiite militias. Israel has not feared a conflict with Iran, and neither should America. There are no Israeli boots on the ground in Syria, but that has not impeded Israel from launching hundreds of effective attacks on Iranian targets into the country, despite rising Russian criticism. Meanwhile, Washington’s aversion to conflict with Tehran has only emboldened Iran, Russia and Turkey – all three of which fear a clash more than America does. It is time for a more aggressive U.S. stance to curb these countries’ regional aggression. The United States should join Israel in striking Iranian targets, or at least back Israel’s freedom of action in Syria against Russian resistance. U.S. forces in Iraq, which Trump is maintaining, could help block Iranian arms shipments to Syria and Lebanon that pass through Iraq, perhaps even arresting Iranian commanders. The U.S. Navy should interdict Iranian sea-based shipments to Yemini Houthis, which is the latter’s primary weapons source in the Yemini civil war. For Israel, the United States should fast-track already agreed upon security assistance, so that Israel can acquire more military assets more quickly. In particular, Israel might benefit from air-attack capabilities, air refueling tankers, precision munitions, and unmanned aerial vehicles. The United States must also update prepositioned weapons in Israel that the latter could access in emergency, such as a conflict with Iran and its proxy Hezbollah, the prospect of which is growing. Further, America should elevate Israel’s status to that of Australia so that it can share with the Jewish state more intelligence and advanced weapons and technology. It would be best for the Trump administration to suspend withdrawal of troops from Syria. But is more important for America to pursue an effective strategy of defeating ISIS, blocking Turkish aggression, and rolling back Iranian expansion. Until such a plan is unveiled, critics will continue to have reason to equate a tactical withdrawal with a strategic retreat. Michael Makovsky is president and CEO of the Jewish Institute for National Security of America and a former Pentagon official. Washington announces suspension of compliance with Intermediate-range Nuclear Forces (INF) Treaty with Russia, threatens total withdrawal if Russia does not end alleged violation of treaty. WASHINGTON – The United States is suspending its compliance with the Intermediate-range Nuclear Forces (INF) Treaty with Russia on Saturday and will withdraw from the landmark 1987 arms control accord in six months if Moscow does not end its alleged violation of the pact, U.S. Secretary of State Mike Pomp said on Friday. The INF Treaty bans either side from stationing short- and intermediate-range, land-based missiles in Europe, the officials said. NATO allies “fully support” the United States’ pending withdrawal notice from the INF nuclear missile pact over Russia’s actions, a statement by the alliance said. “The United States is taking this action in response to the significant risks to Euro-Atlantic security posed by Russia’s covert testing, production, and fielding of 9M729 ground-launched cruise missile systems,” it said. U.S. official said the U.S. action would be “reversible” if Russia came back into compliance during the six-month U.S. suspension. “Then the U.S. would unsuspend,” the official said. Thompson and Ryabkov said afterwards that the two countries had failed to bridge their differences. They met on the sidelines of a meeting of the U.N. Security Council’s five permanent members – the United States, Russia, China, France and Britain – all nuclear powers. In an interview, Thompson said that suspension of U.S. obligations would allow the U.S. military to immediately begin developing its own longer-range missiles if it chose to do so, raising the prospect they could be deployed in Europe. “Neither side is showing the flexibility necessary to arrive with an agreement that brings Russia into compliance,” he said. “So I think it’s highly unlikely that we will see an 11th hour diplomatic miracle. “Both sides at this point appear more interested in winning the blame game than taking the steps necessary to save the treaty,” he added. Tehran on Thursday cautiously welcomed as a “first step” the expected launch of an EU trade entity aimed at saving Iran’s nuclear deal by bypassing US sanctions. 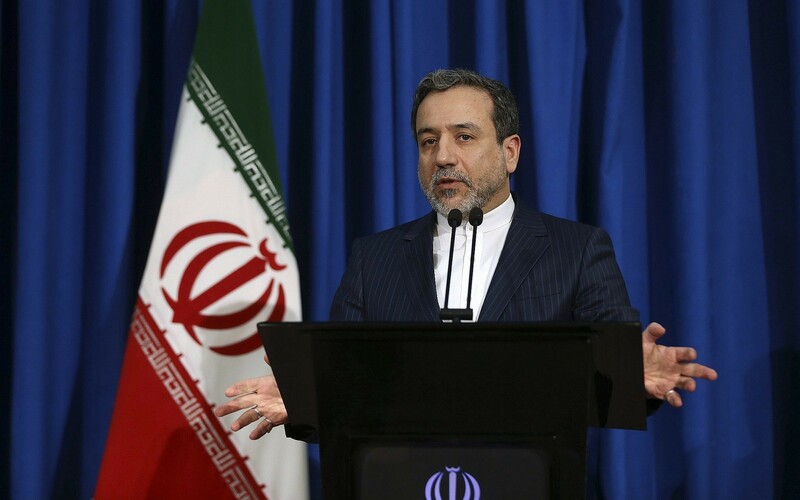 The special payment mechanism “is the first step within the set of commitments the Europeans have made to Iran, which I hope will be fully implemented and not be incomplete,” said deputy foreign minister Abbas Araghchi, according to state news agency IRNA. The formal announcement of the new payment vehicle is expected to be made on Thursday afternoon by the German, French and British foreign ministers in the Romanian capital, Bucharest. The three countries are the European signatories to the landmark deal that curbed Tehran’s nuclear ambitions in return for sanctions relief. The entity, registered in France with German governance and finance from all three countries, will allow Iran to trade with EU companies despite Washington reimposing sanctions after US President Donald Trump pulled out of the 2015 accord. US officials said they were following the situation but dismissed the idea that the new entity would have any impact on efforts to exert economic pressure on Tehran. The company was registered in Paris on Tuesday with 3,000 euros capital and a supervisory board with members from France and Germany, and chaired by a Briton. EU diplomatic chief Federica Mogherini, who has led the bloc’s efforts to save the Iran nuclear deal, said she welcomed the creation of INSTEX. “This step… the establishment of the special purpose vehicle, is I believe the mechanism that will allow legitimate trade with Iran to continue as foreseen in the nuclear agreement. So full support from our side,” she told reporters. Washington has warned the EU against trying to sidestep its sanctions on Tehran, while the Europeans — along with the deal’s other signatories Russia and China — say Iran has not broken its side of the nuclear accord and should be allowed to trade. Joseph Giordono-Scholz, spokesman for the US embassy in Berlin, said the United States was “closely following” reports on INSTEX but said it would not weaken its campaign against Tehran. “As the President has made clear, entities that continue to engage in sanctionable activity involving Iran risk severe consequences that could include losing access to the US financial system and the ability to do business with the United States or US companies,” he said. The UN atomic agency has certified Iran’s compliance with its obligations 13 times and even the head of the CIA said this week that Tehran was abiding by the accord — drawing a furious response from Trump. Washington has warned it will vigorously pursue any company breaching its sanctions against the Islamic Republic and a number of major international corporations have already pulled out. Mogherini insisted transatlantic ties were not threatened by the discord over Iran, saying Brussels was in regular contact with the US to discuss concerns about Tehran’s activities. Belgian Foreign Minister Didier Reynders said that despite differences over the nuclear deal, Europe shared many of Washington’s concerns about Iran. “It’s essential we show our American colleagues that we are going in the same direction as them on a series of issues such as ballistic missiles and Iran’s regional activities,” Reynders said as he arrived for the EU foreign ministers meeting. The new European scheme was originally intended to allow Iran to sell oil to the EU on a barter basis but, with Europe buying very little Iranian crude, it is now aimed at small- and medium-sized companies. “We’ll have to wait and see who uses it,” a European source said.